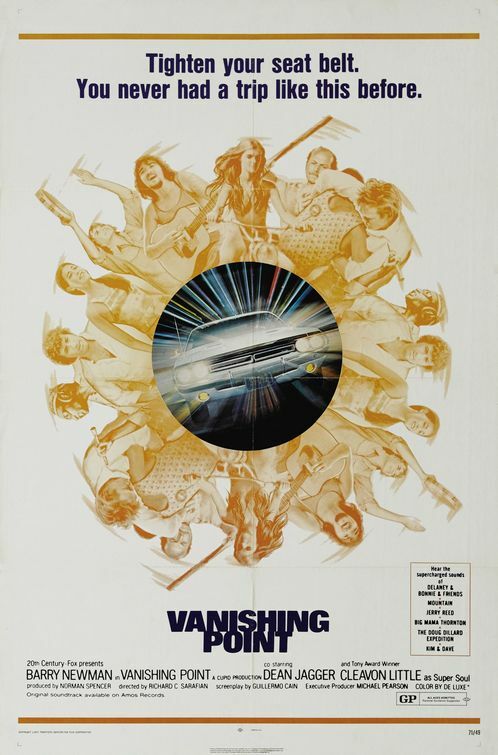 Vanishing Point feels like the quintessential 70s movie. “Wait, isn’t that Easy Rider?” Sure, you could argue that (even if it’s from 1969) and there are similarities, but viewed without competitors this movie screams and shouts, “I’m from the 70s!” I picked it randomly for a 70s movie and it fits my parameters perfectly. It shows a lot about its time and has some interesting if extremely strange ideas. It’s not necessarily a good movie unless you like a basically non-story about a driver who wants to bring a car to San Francisco, is chased by the police and makes many police cars crash, while also meeting all kinds of 70s tropes. I can see how it has the potential for a cult movie (which it seemingly is), but that doesn’t make it good. Unless you like to see cars drive off the road or crash into something.